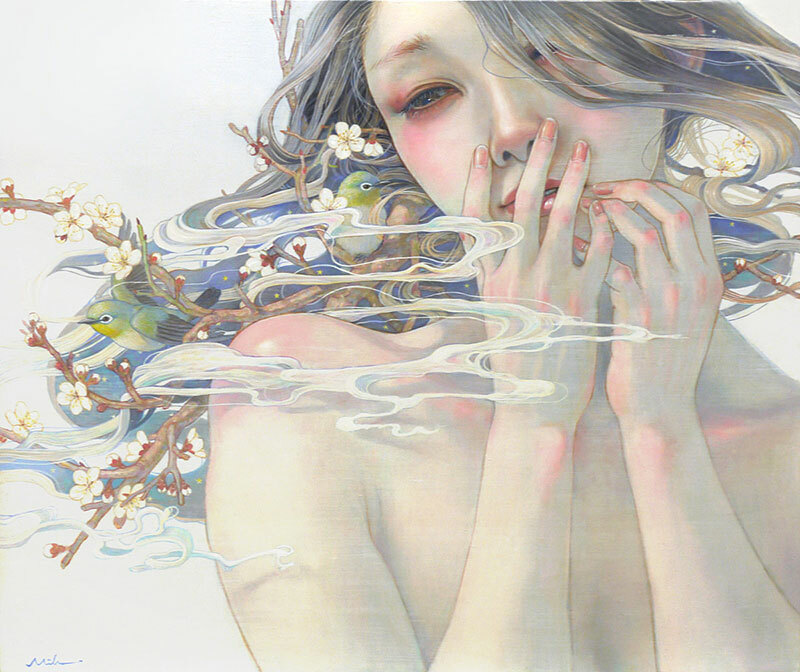 Dreamy paintings where humans and nature coexist by Japanese artist Miho Hirano based in Chiba, Japan. 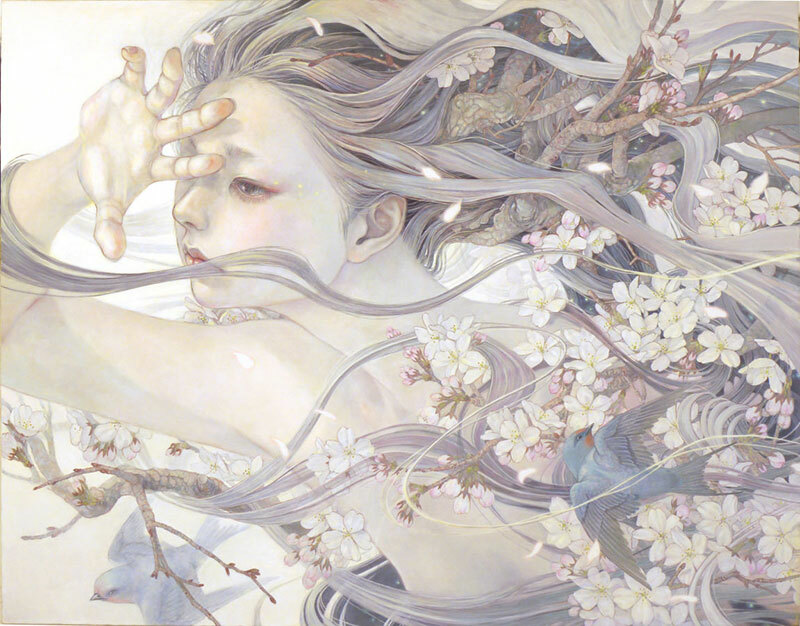 Her subjects appear at one with their environment with their hair flowing into flowering tree branches or strands of seaweed and adorned with goldfish, hummingbirds, and various insects that carry their own symbolic weight. 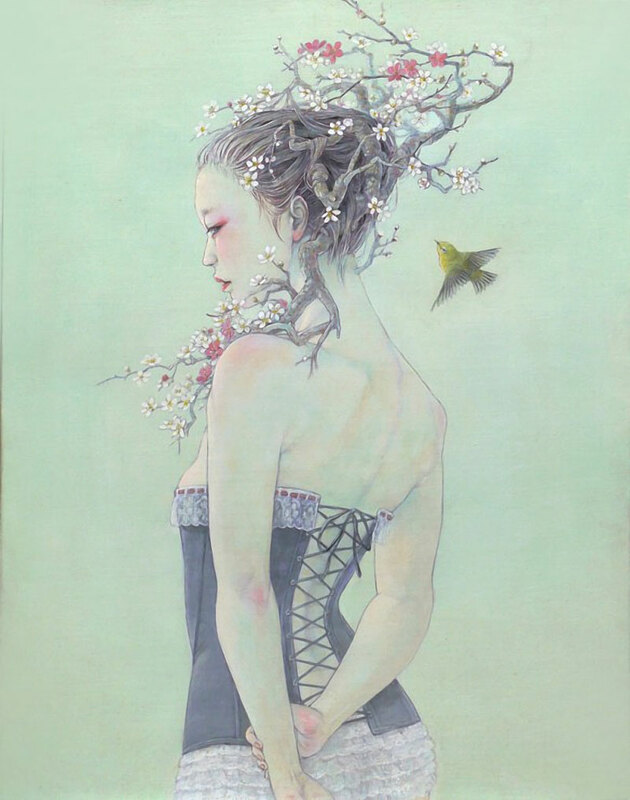 Using hair as a female identifier in her work, Hirano portrays different attitudes and emotional interpretations of women, including her own alter-ego. 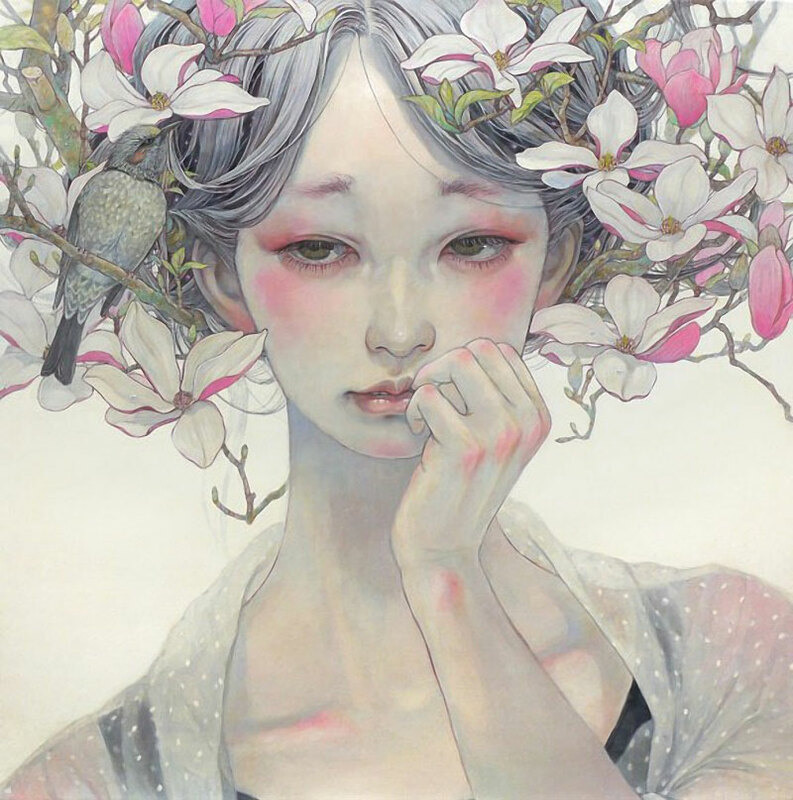 I usually paint women; because I am a woman. 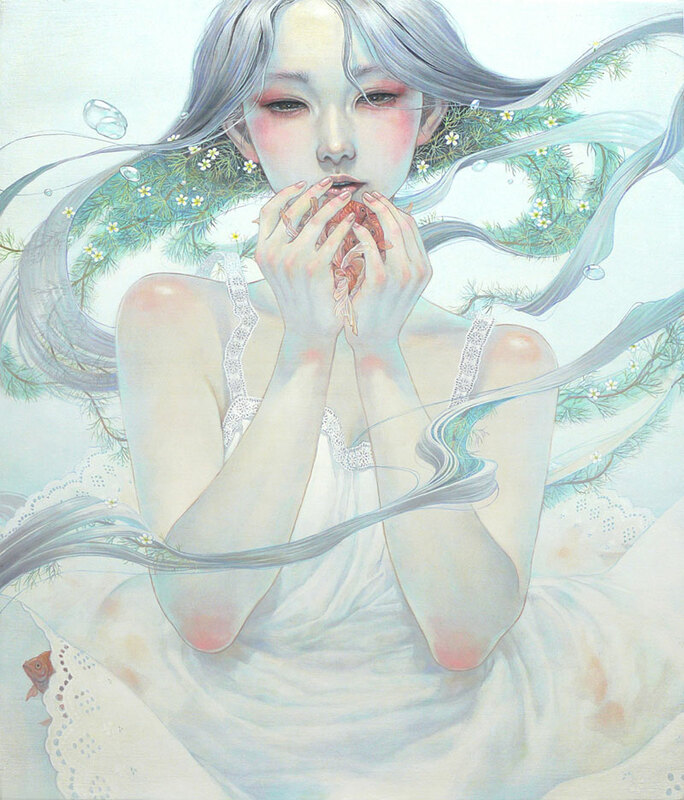 Each of my female characters can be seen as a self-portrait of mine in some way, such as sharing my desire to dress up. 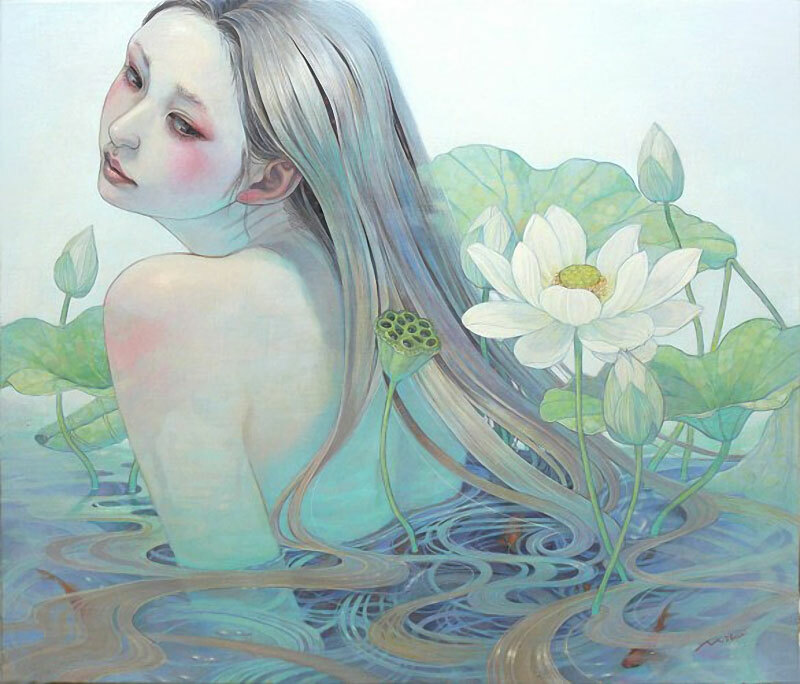 However, they are not myself in a mirror, but someone else who takes over my consciousness. One of my goals as an artist is to explore how we adorn ourselves with accessories, and how this plays a role in our identity. 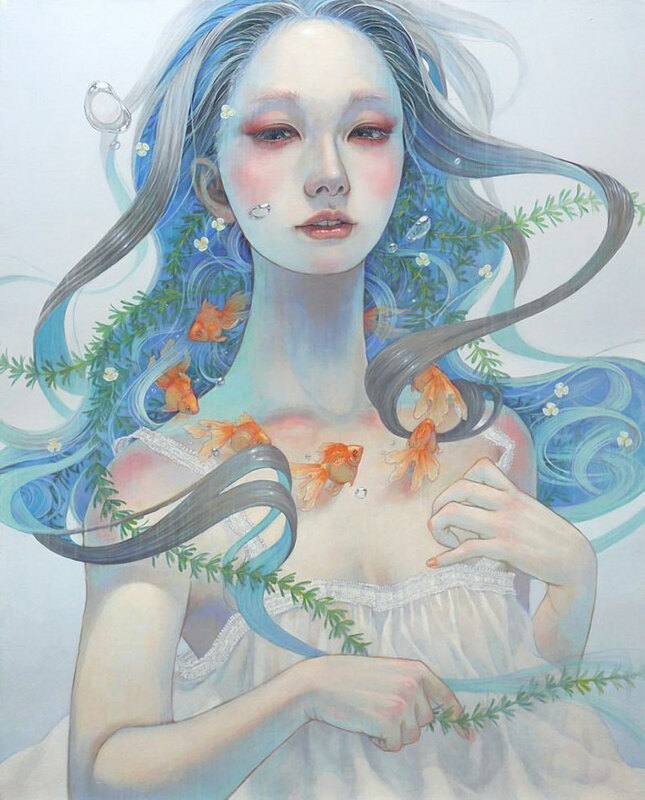 On view at Corey Helford Gallery Mar 26 – Apr 16. 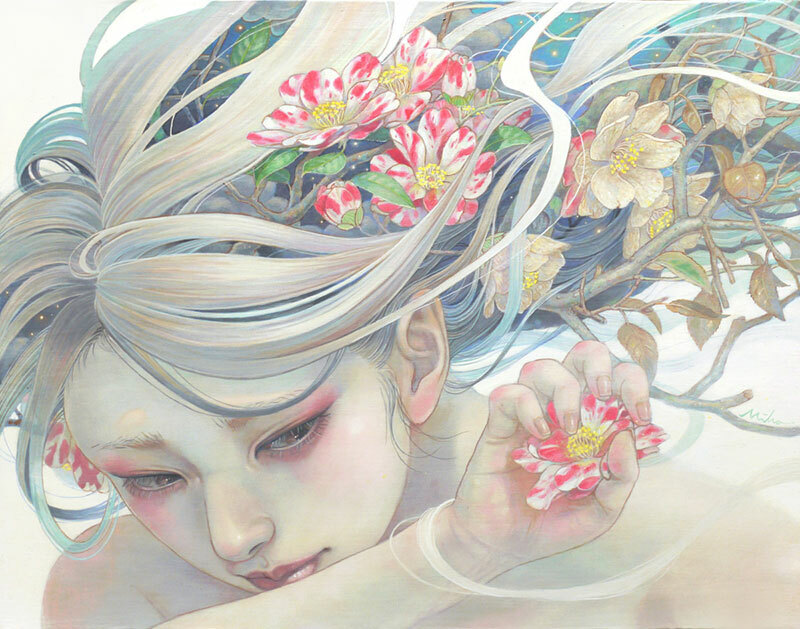 Dreamy paintings where humans and nature coexist by Japanese artist Miho Hirano based in Chiba, Japan.